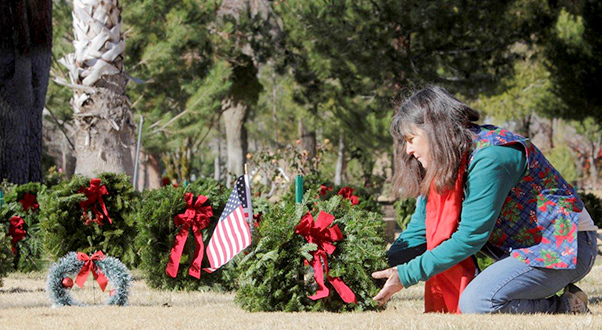 Betsy Haslett, a member of the Daughters of the American Revolution, places a wreath on a veteran’s grave during a Wreaths Across America event at the Lancaster Cemetery. Haslett volunteers each year to also honor family members who served in the armed forces. 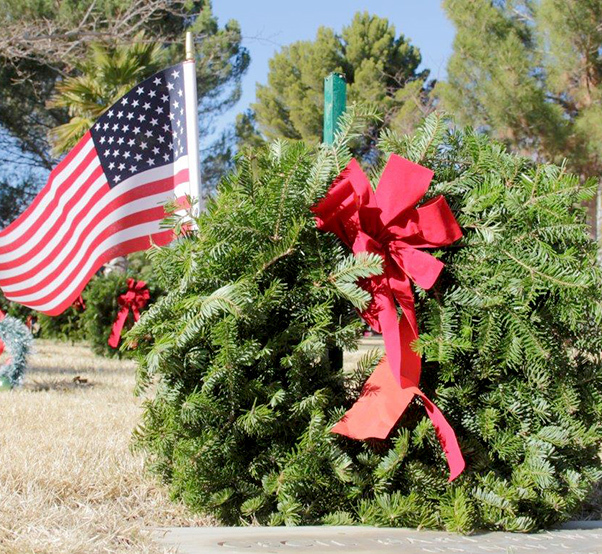 Veteran’s graves were decorated though out the Antelope Valley as the community participated in Wreaths Across America, a tradition that started in 1992 when Morrill Worcester’s wreath company in Harrington, Maine, had a surplus at the end of the holiday season. Worcester fondly remembered a boyhood trip to Arlington National Cemetery and so he laid the extra 5,000 wreaths to honor and remember the fallen who protected the country. Now, the event takes place in all 50 states, at sea and at 24 foreign national cemeteries. Recently, members of The Latter Day Saints researched and discovered that 70 more veterans are buried at the Lancaster Cemetery. “Unfortunately, not everyone here has a headstone but we are working on that,” explained Dayle Debry, Lancaster Cemetery district manager. So far, there are 855 veterans accounted for at the cemetery. 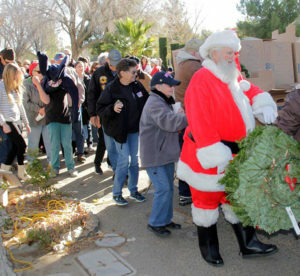 Santa Claus and more than 100 volunteers help place wreaths on veteran’s graves during a Wreaths Across America event at the Lancaster Cemetery. To date, 855 veterans are buried at the cemetery, many still without headstones. 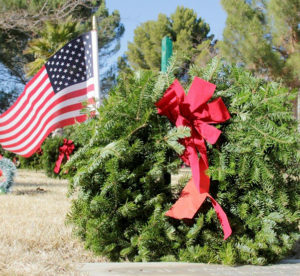 After enjoying refreshments, Christmas carols and a few stories, Santa Claus, employees of Home Depot, Lockheed Martin and more than 100 other volunteers helped to place a wreath on each veteran’s grave. That evening, a handful of people lit luminary bags and placed them by each wreath. 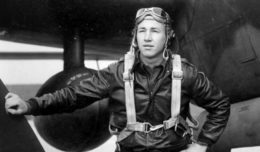 This portion was sponsored by Ken Mann and family in honor of his late father, Clifford Mann who was a pilot in World War II. Betsy Haslett, a member of the Daughters of the American Revolution volunteers each year to also honor family members who served in the armed forces. “My mother raised me to be patriotic and now I really appreciate the sacrifices made,” said Haslett, who has a brother-in-law, Wade, in the Army, a brother who is buried at Jefferson Barracks National Cemetery, and others who have served in the Gulf War and Vietnam era. 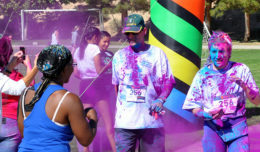 The event could not be possible without the generous support of the community. 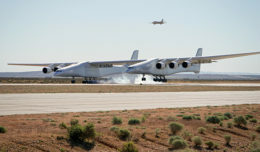 “We are especially proud of our scouts and students though out the Valley,” said Debry. The Pete Knight High School donated 89 wreaths and Joe Walker Middle School donated 68 wreaths.